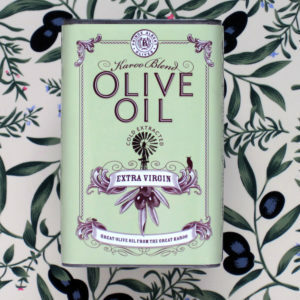 Great olive oil from the Great Karoo. 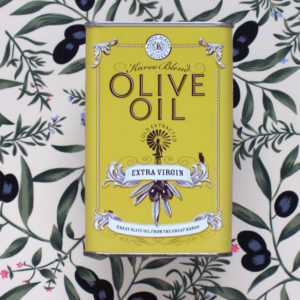 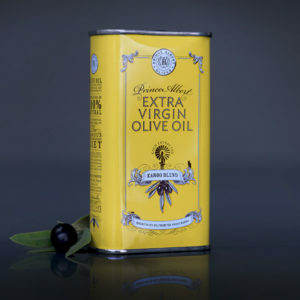 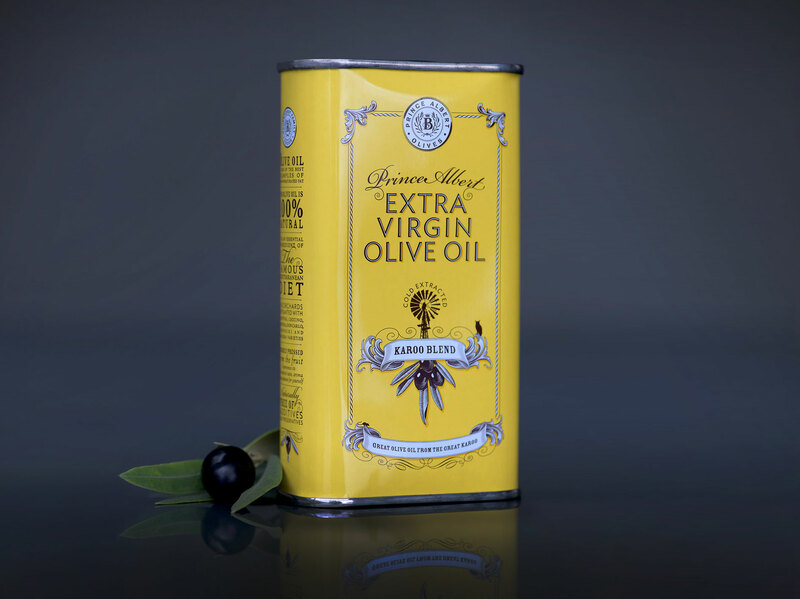 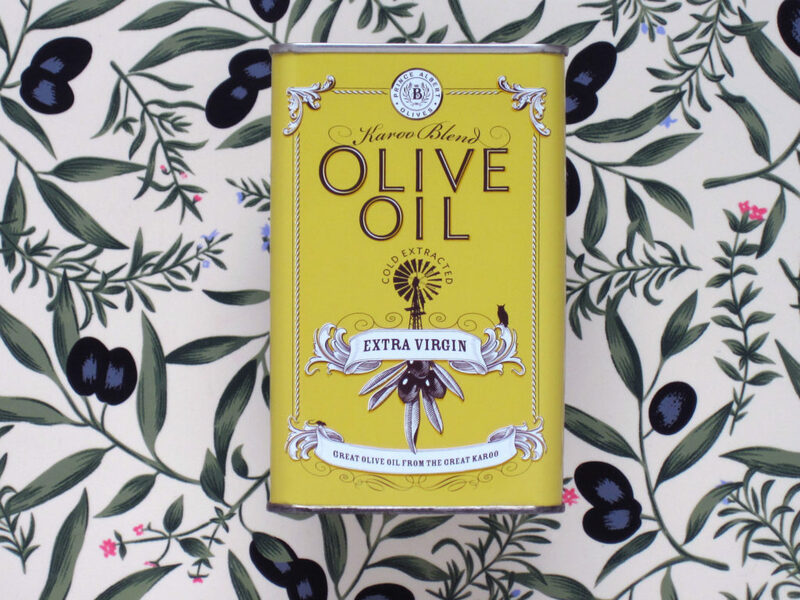 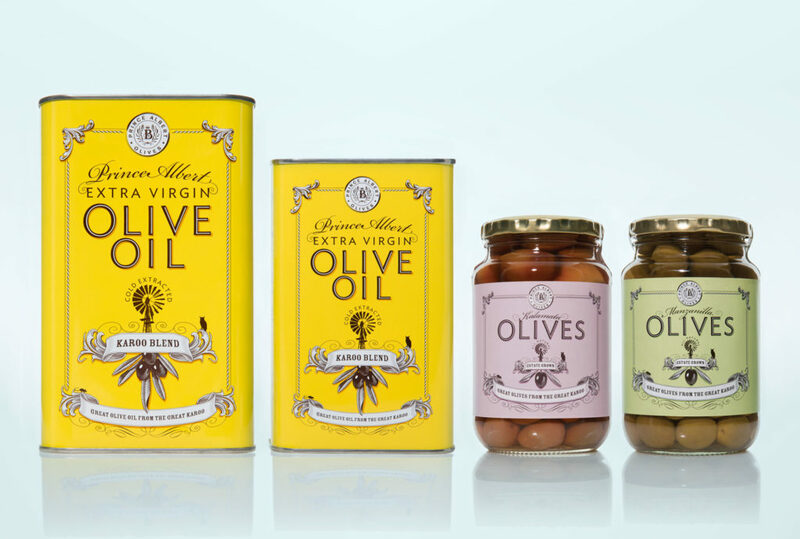 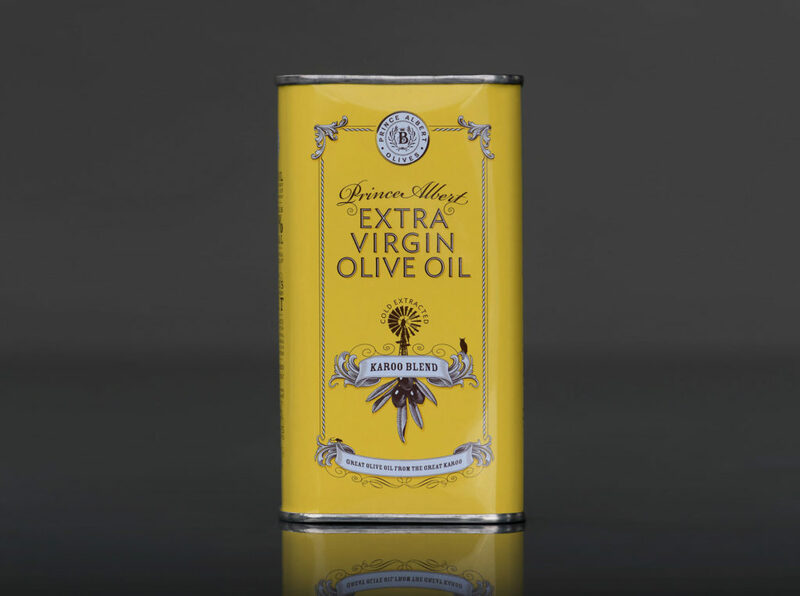 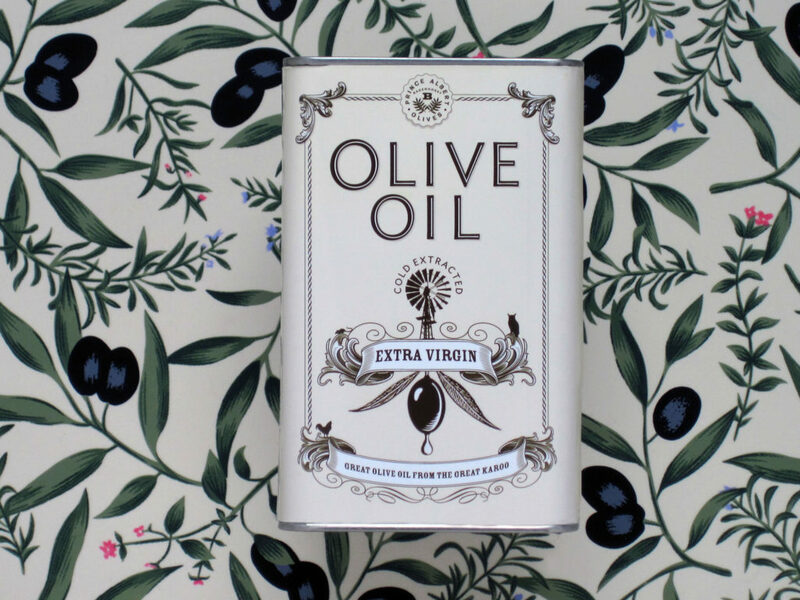 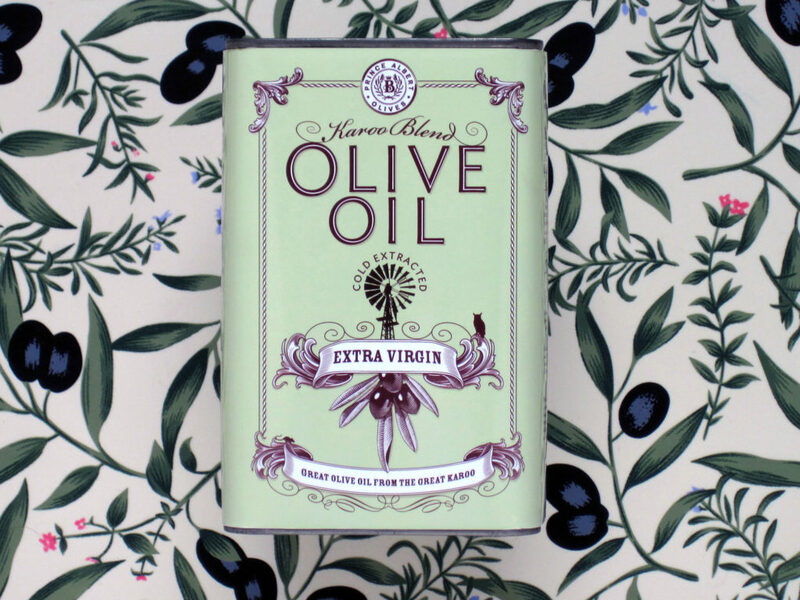 Our packaging design for the new olive product ( 2010 ) on the market proved very successful. 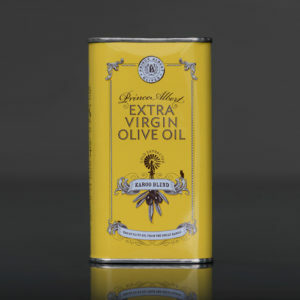 It has become a favourite choice for households and foodies, and looks great in the kitchen, even after use. 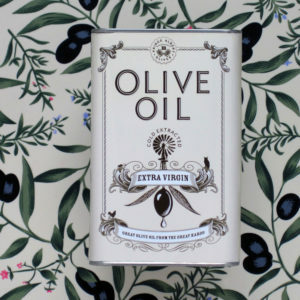 Some creative people have transformed the empty cans into kitchen utensil holders, bedside lamps, plant pots, paint brush holders in art studios, sand-filled door stops and book-ends. 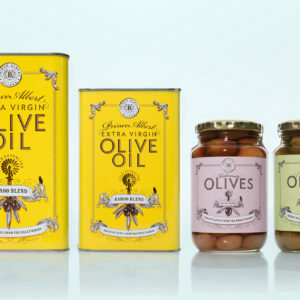 Doug Powell, Durbanville based illustrator, produced the illustration.